Delta Sigma Phi - ΔΣΦ Fraternity at University of Virginia - UVA 5.0 f off Oct 20, 2018 4:38:43 PM Don't talk to women at parties and are all in comm school or econ majors. Truly staples of a top tier frat. Don't talk to women at parties and are all in comm school or econ majors. Truly staples of a top tier frat. Delta Sigma Phi - ΔΣΦ Fraternity at University of Virginia - UVA 1.0 3rd yr Sep 11, 2018 8:10:27 PM honestly these guys would be top tier if they weren’t so smelly. I mean gosh, these guys stink! honestly these guys would be top tier if they weren’t so smelly. I mean gosh, these guys stink! Delta Sigma Phi - ΔΣΦ Fraternity at University of Virginia - UVA 4.7 Kelly May 2, 2018 2:50:12 PM I think they are one of the top houses from my perspective. I think they are one of the top houses from my perspective. Delta Sigma Phi - ΔΣΦ Fraternity at University of Virginia - UVA 4.9 DSig Apr 10, 2018 4:50:34 PM They are by far the classiest and most fun group. They are by far the classiest and most fun group. Delta Sigma Phi - ΔΣΦ Fraternity at University of Virginia - UVA 3.5 hahah Mar 23, 2018 4:56:28 PM Great group of guys, like to have fun, friendly with pretty much everyone in greek life. Great group of guys, like to have fun, friendly with pretty much everyone in greek life. 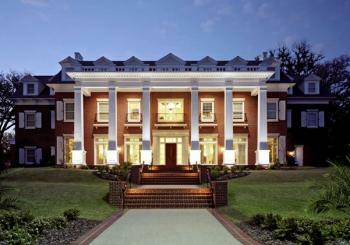 Delta Sigma Phi - ΔΣΦ Fraternity at University of Virginia - UVA 3.9 Have Feb 7, 2018 9:17:21 PM While the house is by all accounts in terrible shape and falling apart, the guys here are still quality. Despite being pretty average, the brothers all love sports and of course each other, so everyone in the fraternity is tight. They are by no means top tier with their house at the end of Rugby, but they can still throw down and moderately pull while having each other's backs through the process. While the house is by all accounts in terrible shape and falling apart, the guys here are still quality. Despite being pretty average, the brothers all love sports and of course each other, so everyone in the fraternity is tight. They are by no means top tier with their house at the end of Rugby, but they can still throw down and moderately pull while having each other's backs through the process.